LOTUS 7.0 is a living wall composed of smart foils that fold open in response to human behaviour. When walking by LOTUS, hundreds of aluminium foils unfold in an organic way; generating transparent voids between private and public space. LOTUS makes physical walls immaterial, giving way to a poetic morphing of space and people. 2010-2011. Curved wall of 4 x 2 meters fitted with hundreds of smart foils, lamps, sensors, software and other media. 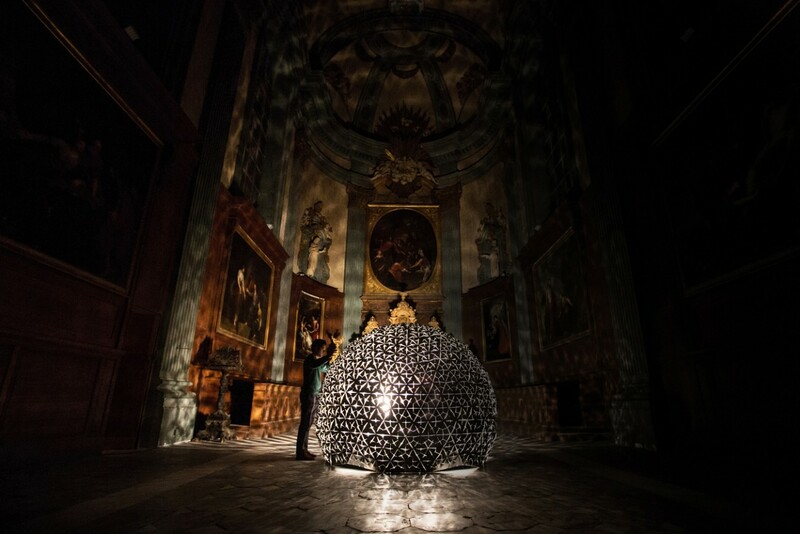 Lotus Dome was the project that opened my eyes to the existence of smart materials. At that time I thought it was absolutely fascinating how materials could move on “their own” and still am fascinated its potential. Though I’d always known that logically, material is very important when it comes to creating something, especially installations, Lotus Dome really struck that home since the concept to it is quite simple, yet the results is quite beautiful, thanks to its use of materials. Since then I’ve always wanted to get my hands on some of these “new” sorts of materials, though so far I haven’t been able to, since they’re not exactly budget-friendly. This entry was posted in Week 1: Course Intro on September 2, 2015 by P.Feng.